Can't forget that we've got shoegazing returning to the forefront of our soundworld. Here's a single from some folks in the UK living that dream as hard as they can. Yeah, all the alternately buzzing and floating guitars are accounted for, and this release could easily date from 1990, but there's nothing wrong with that. "Suki Flood" rides the waves of Slowdive for that dream-pop sound, although I was kind of hoping the song would eventually open up the walls of pure distortion as shoegazers are wont to do. We do get some more full force buzz on "Walton Cobbles," which grasp for the Bloody Valentine's early (mid-period?) low-fi buzz. Speaking of lo-fi, while this single sports some fine production, the final sound is a touch on the muffled side. I would suggest to these intrepid performers to notch the treble up just a bit for future mastering (but not too much). On an even more unrelated note, I want to gauge your opinions on what is required for shoegaze guitar. The typical philosophy seems to be that you need a massive effects board and 50 overdubs. After reading an interview with Kevin Shields' however, I've been taking the approach that you only need two or three guitars tops in a song, and possibly no effect - just a tube amp cranked up to 11 and overdriven to hell. Also, do you have to be British to properly shoegaze? Did Galaxie 500 count? Discuss. This is a compilation from the fantastic psych warriors over at the Active Listener for the equally groovy Balduin. It seems that this Swiss fellow has been at it since 1988 (at age 10!). We get a lot of meticulously created revival psych in the inbox at the ol' Garage, but this is a rare case where the artist grabs the ineffable vapours of vintage psychedelia and runs away with it in inspired directions. Perhaps due to its nature as a compilation, this music runs all over the map of Tripsville, with straight up harpsichord-laced baroque pop, garage band grinding, folkish dulcimer pounding, and goofy electronica sometimes inhabiting the same song. It all works quite well, though, as Balduin has the innate ability to set his musical thumbprint upon all of the different sounds. Hit any track and you'll likely hear something to catch your attention. But here are the things I dig the most: I'm totally down for the fantasy forest at night vibrations that we get on tracks like the opening duo, as well as the hazy orchestral psychedelia of tunes like "A Hope For Loving You," and "A Simple Chime." Balduin also nicely pulls off some more modern, indie-baiting electronic sounds with "The Shadows of Your Mind" and "Post From Mars." 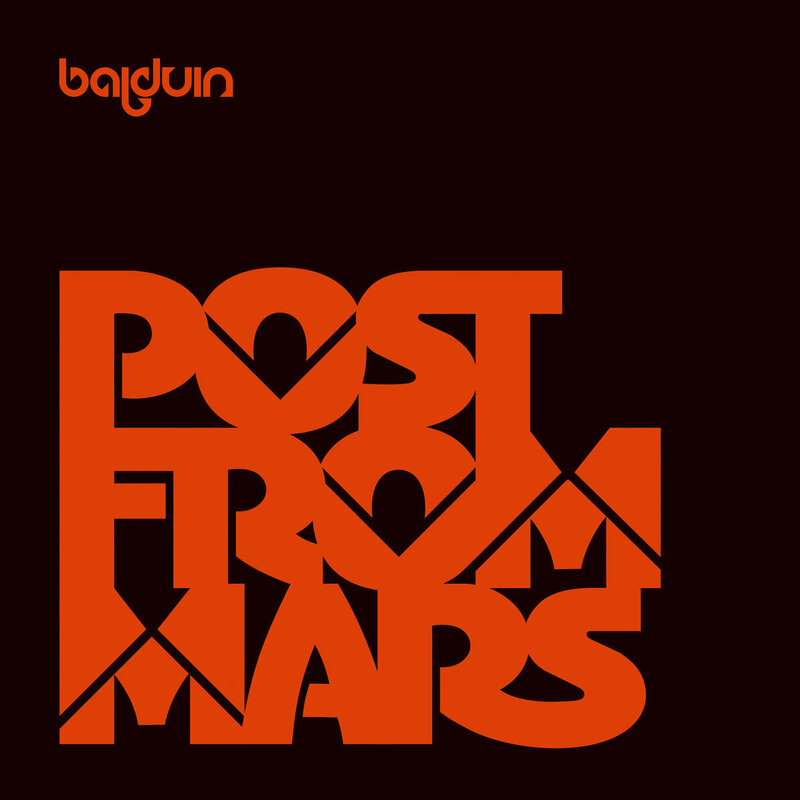 Give "A Post From Mars" a listen - it a very impressive listen informed by both the insular bedroom studio as well as the orchestra capacity 1966 studio. The tunes bear a slew of influences ranging from the Electric Prunes, to Donovan, to the Magnetic Fields, but the sound is not mere re-creations as this artist ultimately defines his own psychedelic visions. 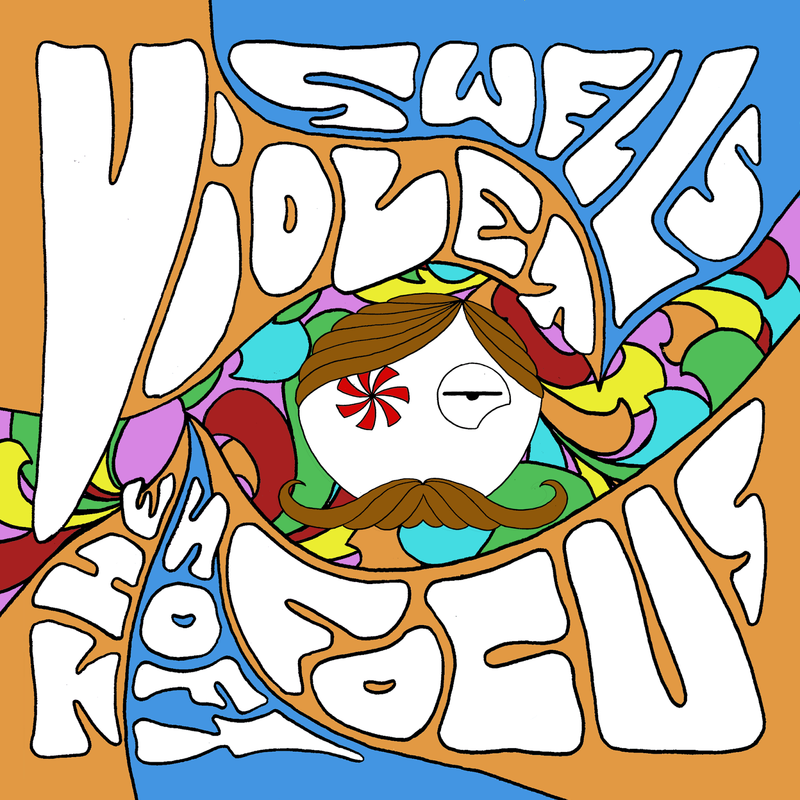 This EP is a fun celebration of the poppier side of psychedelia. Following along the lines of British psych rocking and mellotrons along with a dash of California sun, the set is the end result of paisley-painted factory machines, but it's a pretty well-made product. The first couple tunes rank in as very passable psych-pop with swirling carnival organs, but it's the later two that make a bit more of a mark. "Miracles of a Clockwork Kingdom" forges a more atmospheric sound as an instrumental featuring a swinging rhythm and some 1966-vibing, L.A. studio musician tremolo guitar. As the title would suggest, "Soft Focus" is hard to pin your brain upon, morphing through a variety of motifs ala the Buffalo Springfield's "Broken Arrow." It's all quicksilver through your neurons. We're probably getting more psych running through the pipe these days than folks did in the 60's. Ten years ago a release like this would have been among my new gods (think Elephant 6), but I still think Violet Swells nicely passes the litmus test for listenability. There's nothing particularly earthshaking going on, but it's a seamless, enjoyable ride. And a ringer from this year's "Cryptic Hullaballoo:"